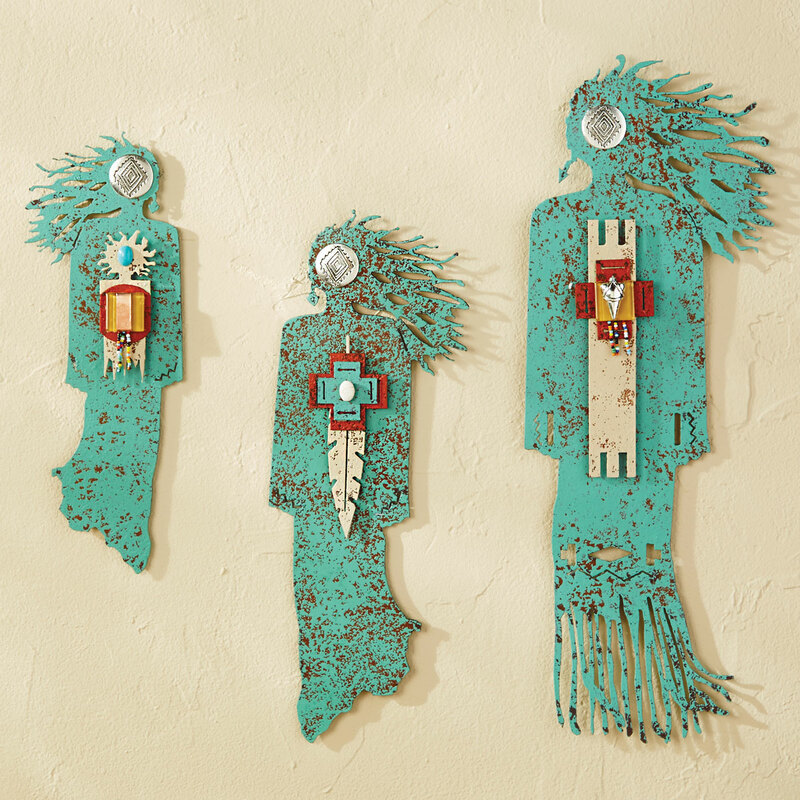 A Lone Star Western Decor Exclusive - These�one-of-a-kind metal women designed by Texas artist Janice Redford feature a distressed turquoise finish and floated layers. Made in the USA. A Lone Star Western Decor Exclusive - This one-of-a-kind metal wall art designed by Texas artist Janice Redford features a distressed turquoise finish and floated layers. Made in the USA. 4"W x 11 1/2"H.
A Lone Star Western Decor Exclusive - This one-of-a-kind metal wall art designed by Texas artist Janice Redford features a distressed turquoise finish and floated layers. Made in the USA. 5"W x 14"H.
A Lone Star Western Decor Exclusive - This one-of-a-kind metal wall art designed by Texas artist Janice Redford features a distressed turquoise finish and floated layers. Made in the USA. 6 1/2"W x 18"H.